F-PACE wins two titles at 2017 World Car Awards. Jaguar’s first performance SUV takes 2017 World Car of the Year title. Also wins World Car Design of the Year prize. The F-PACE is Jaguar’s fastest selling global model. Jaguar is Europe’s fastest-growing car brand. The Jaguar F-PACE is officially the best and most beautiful car in the world after double success at the 2017 World Car Awards, scooping the prestigious World Car of Year and World Car Design of the Year titles. “The F-PACE was designed and engineered as a performance SUV with exceptional dynamics, everyday usability and bold design. Winning this award endorses the talent and great work of our teams that have delivered the world’s most practical sports car and Jaguar’s fastest-selling vehicle”. The awards brace is the first overall success for Jaguar at the World Car Awards. The XE sports saloon was a finalist for the 2016 World Car Design of the Year title. The F-PACE triumphed over finalists the Audi Q5 and Volkswagen Tiguan to claim the 2017 World Car of the Year prize. The World Car Awards jury comprises influential motoring journalists and to win the 2017 World Car Design of the Year prize the F-PACE saw off the Mercedes-Benz S-Class Cabriolet and Toyota C-HR in the final three. The F-PACE is Jaguar’s first performance SUV and has contributed to record sales growth by attracting new customers to the brand. Engine options for the F-PACE range from the efficient and innovative four-cylinder 2.0-litre Ingenium diesel, with CO2 emissions as low as 126g/km* to the high-performance 380PS, supercharged V6 petrol model that can accelerate from 0-62mph (0-100km/h) in just 5.5 seconds. The last 12 months have seen the launch of three completely new product lines, and successful growth across many of Jaguar’s existing products. 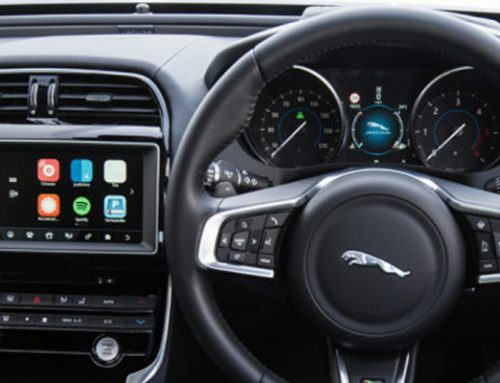 Sales are still increasing strongly and Jaguar is now Europe’s fastest-growing car brand.